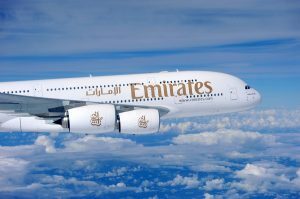 *One daily scheduled flight will run from Madrid Airport to Dubai International Airport from August 2010 with Emirates. The flight will depart from Spain at 15:25 arriving in Dubai at 00:30. The return flight from Dubai International Airport will depart at 07:25 landing at Madrid Barajas at 13:20. It takes between 7 and 8 hours to fly from Madrid to Dubai Airport. The time difference in Dubai is 3 hours ahead of Madrid and all times are quoted in local time. Flight details listed are subject to change. The nearest alternative airport to Madrid Barajas Airport offering direct flights to Dubai International Airport is Nice in France. * Please note that although we do our best to keep all the information on this page as up to date as possible, due to the frequency in which flight services can and do change it is always best to simply use the flight search box above or on the left which will show all current flights to Dubai from Madrid or whichever departure destination you select. Terminal 4 at Madrid Airport is home to ‘La Revoltosa’ which is a luxury lounge available for your use. The lounge is located on the first floor and very close to the AENA exhibition room. La Revoltosa is fully air conditioned throughout. Complimentary newspapers, magazines and refreshments are available although alcoholic drinks are subject to payment. Conference facilities and internet connections are also on hand to assist you with your business requirements. Flights from Madrid to Dubai will depart from Terminal 4. Arrivals from Dubai to Madrid will also arrive in Terminal 4. The check in desks for your emirates flight will be clearly displayed on the monitors within the terminal building, emirates will also have a designated check in area at Madrid airport from 2011. If you have any questions regarding your flight to Dubai International Airport, the information desks at Madrid Barajas are easily spotted and the helpful staff members will be wearing green jackets.